hehehehe, did you read that title 2 or 3 times? A little confusing, isn't it? 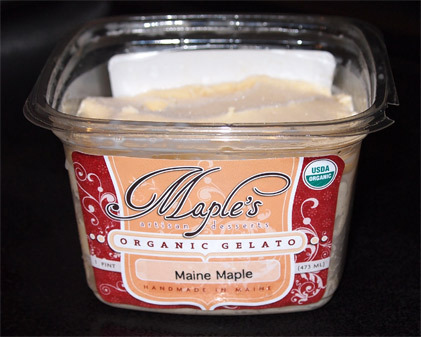 Maple's is a small Maine "artisan dessert" shop that sells their goods to my local Whole Foods. What you see in the next picture is the 2012 redesign of their packaging. 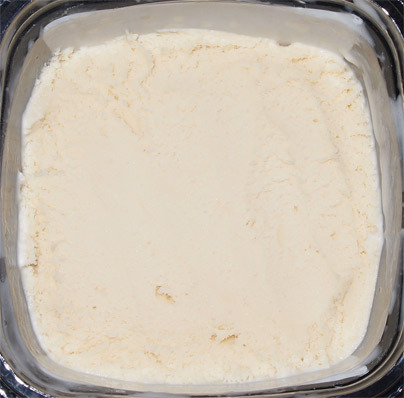 As you can see, Maple's now comes in pint and quart size containers. The pint containers have gone with a more traditional pint shape while the new quart containers look like the old pint containers. They've even gone and upgraded to a fancy schmancy, color coded ribbon system with gold medallions for good measure. 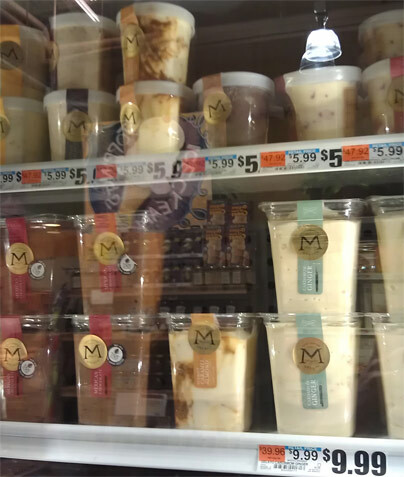 The thing is, I didn't buy one of these pints. Yeah, a few months ago I actually bought this pint and another as they were on sale for like 2 for $7 or something (remember, they are usually $5.99 a piece). I've been trying to expand my little ice cream world and a maple flavor seemed like a simple way to do that. My little bud here doesn't exactly photograph too well.... or maybe the photographer should try harder.... nah, I blame the gelato. He kind of seems like a punk anyway. Much like Talenti's sea salt caramel, Maple's Maple has a bit of a drying effect. Yes I know that's not a good way to describe it, but I don't know how else to say it. It's not terrible, but it is distinct and takes away from the creaminess that I remember when I tried the Maine Blueberry variety. There's definitely a bit of an icy vibe here even though I let it sit out for several minutes. Overall it's a decent flavor which is reminiscent of say cracker jacks, but not strong enough or sweet enough to have me running back for more. Maple's gets points for being organic as there is definitely no artificial or gummy vibes here. It's decent, I tried it, but it's time to move on. just tried the chocolate hazlenut and it is very disappointing. The chocolate is described as flakes of Belgian Chocolate. But it tastes like gritty fake chocolate and ruins the gelato.